Republican U.S. Rep. Bill Posey had the most significant fundraising drive yet for his re-election campaign during August and September, bringing in $182,000 to fuel his battle with Democratic challenger Sanjay Patel in Florida’s 8th Congressional District. In this latest reporting period, the incumbent Posey easily outraised Patel, who nonetheless once again put up fairly impressive fundraising numbers for a first-time candidate with little or no outside backing, in a race for what most observers consider a very safe Republican congressional seat. Posey, who entered both the 2018 race and the most recent campaign finance reporting period with big cash advantages because of a big rollover of unused funds from his 2016 re-election campaign, also is outspending Patel significantly. Posey continues to have a huge cash advantage for the stretch run, though his Democratic challenger entered October with a war chest larger than those held by some incumbent members of Congress in Florida. CD 8 covers Brevard County and parts of east Orange and north Indian River counties. Republicans have about a 12-point voter registration advantage. Going into October, Posey had raised $780,000 in this election cycle and spent $642,000 of that, including $170,000 during the Aug. 9-Sept. 30 period, according to campaign finance reports posted Wednesday by the Federal Election Commission. That left him with $650,000 left to spend in October and early November. Patel brought in $76,000 in August and September. With the $39,000 his campaign raised before the pre-primary Aug. 8 reporting deadline, Patel has managed to attract six-figure contribution money in consecutive quarters. In the second quarter of 2018, he outraised Posey. Patel now has raised more money for his 2018 bid, $307,000, than Posey’s previous four challengers combined. Patel spent only $97,000 of that, including $58,000 in August and September. So he enters the final weeks of the campaign with $210,000 left. 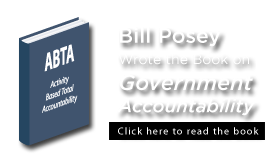 Posey received $479,000 of his campaign contributions from individuals and $303,000 from political action committees. Patel picked up $289,000 from individuals and about $12,000 from PACs.